These are wonderful tips for finding ways to use your formal dining space, and the soothing neutrals, rich textures, combination of antiques and DIY pieces, and family friendly set up is wonderful. Thank you to Wayfair for sponsoring this post. All opinions are my own. When we moved into our new home, we knew we were sacrificing some “public” square footage (you know, living room, kitchen, etc.). Having lived in a tiny European apartment, I know that our Texas-sized home is large (size is, after all, relative), but this house simply devotes more space to bedrooms. As such, I was determined not to let our formal dining room sit unused. Though it had lots of “public” space, our previous home had no kitchen table area – not even a bar counter, so we ate every meal in our formal dining room. In our new home, though, we have a perfect little spot in the kitchen for a small casual table as well as this formal dining space. I was obviously determined to make it lovely. But I didn’t want to stop there. I wanted to really use the space, not just have it sitting like a museum, and I’ve spent the last six months fine tuning that process. So now, 6 months in, I thought I’d share with you some ideas for using your dining space. My kids are still little, so I started last fall by making over a kids craft table for the space. We use this big woven basket and a shelf in the china cabinet to store supplies, and this keeps our kitchen table clear for everyday meals. And we love using the dining room table for big board games, too, keeping the tight kitchen table area free of extra clutter. We actually homeschool, but even if you only need to do homework, I think the dining room can be a great space for that. The formality of the room helps my kids to stay focused (and keeps them from asking for so many snacks since the pantry is not in sight 😉 ). I even went so far as to add this awesome little vintage desk I restored to the corner. It may be a random fixture for a dining room, but I think the vintage look flows well, and my kindergartener loves working there. We’ve instituted weekly family dinners in the dining room. As you can see, my great grandmother’s dining furniture is rather formal (even after I refinished it) and a little delicate, so we balanced it out with a bench (also an inherited piece) for the kids. This way, our whole family can enjoy the space. We work together to set the table, light a couple of candles, and enjoy family dinners on Thursday nights. We almost always eat dinner together even at the kitchen table, but there’s something about the dining room that lets us linger just a little longer. The food doesn’t have to be formal, and it doesn’t have to take long… It’s just nice to devote the time (and try to train our children not to eat like barbarians 😉 ). I think a formal – but not too formal – dining room is so refreshing for guests. We can expand the table to seat 10 or keep it intimate at 6. I think the bench helps keep it casual, while the upholstered chairs add class and elegance. And the buffet offers extra storage for those school books and craft supplies I mentioned. And the space truly has become so functional for our family. I can honestly say that we spend multiple hours a day in here, and it isn’t constantly a giant mess (having a place to put everything is obviously key to that!). We play games, eat meals, and enjoy the beautiful natural light. The sun sets over the hills just outside that window in the evenings, and it can be breathtaking. But whether you have big windows or none. Lots of space or little. The important thing is that is a space well used and well loved by your loved ones. How do you use your formal dining room? Disclosure: Thank you to Wayfair for providing the gorgeous chandelier! All opinions are my own. You can read my full disclosure policy here. I very much like the baskets hanging over the server cabinet. And I also very much like the plant in the corner. Is it a Fig? Hard to maintain? What can you tell me about these things. Of course I think your home is INCREDIBLY BEAUTIFUL!!! You’ve done such a great job here. Thanks for sharing. Beautiful room Rachel. I do not have a breakfast room so we use our dining room daily. Your dining room is what I consider functional elegance. Such a great place to do daily tasks and be surrounded by beauty!…love the chandy!! I’m OBSESSED with that cute little wood bench!! I’ve always loved the look of a bench paired with a dining tables & this is fab!! Um, how stunning is that chandelier?? And your whole formal dining room, friend. I have to say, I’m a bit jealous- our house isn’t actually that large of a floor plan and we just have the one dining area between the kitchen and living room. It would be neat to have a more formal option like yours. And I really think I need to switch out my chandelier now. Yours goes so perfectly with every other element in the space- it looks like it was made to be next to your vintage map (Paris?!). So pretty, Rachel! That new chandelier is PERFECT! 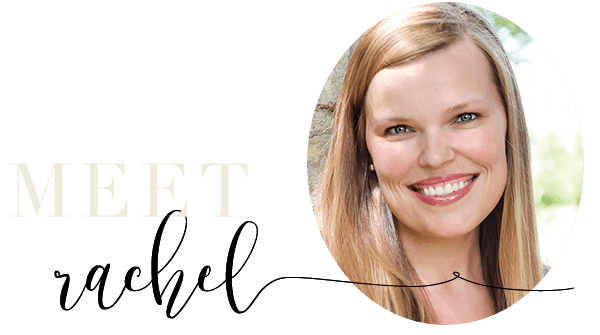 Your dining room is gorgeous, Rachel! I love even more that you are using it!! I’m the same way – I’ve made it my mission to spend more time in there! LOVE your dining room, and your new gorgeous chandelier! Everything looks so bright and crisp! Gorgeous!